The Miracle Worker Event homeCustomer reviews HamiltonThe PromNetworkTo Kill a MockingbirdKiss Me KateHadestownOklahoma! When this Helen groans, her flailing arms reaching for something she knows she wants but can't quite identify, you feel the pure, painful thwartedness of a trapped intelligence searching for release. 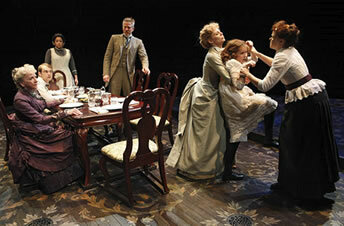 Why See The Miracle Worker? This deeply moving family drama is based on the true story of a young deaf and blind girl, Helen Keller, and her dedicated teacher Annie Sullivan, who at last succeeds in reaching into Helen's terrible isolation and bringing her into contact with the outside world. 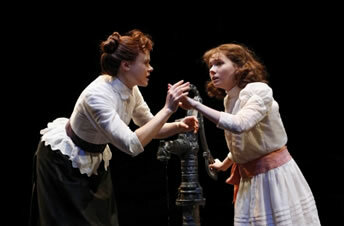 The first Broadway revival of The Miracle Worker stars Academy Award® nominee Abigail Breslin (Little Miss Sunshine) and Tony Award® nominee Alison Pill (The Lieutenant of Inishmore) as Helen Keller and Annie Sullivan, iconic roles made famous by Anne Bancroft and Patty Duke in the Tony Award-winning play and landmark feature film adaptation. 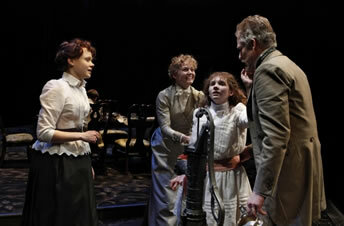 Set in the South in the 1880s, The Miracle Worker tells the story of real-life Medal of Freedom winner Helen Keller, who suddenly lost her sight and hearing at the age of 19 months, and the extraordinary teacher who taught her to communicate with the world, Annie Sullivan. Sound good to you? 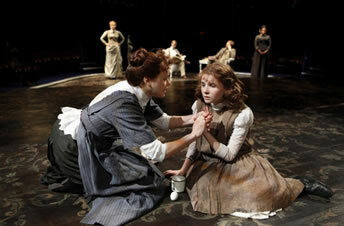 Share this page on social media and let your friends know about The Miracle Worker at Circle in the Square Theatre. Please note: The term Circle in the Square Theatre and/or The Miracle Worker as well as all associated graphics, logos, and/or other trademarks, tradenames or copyrights are the property of the Circle in the Square Theatre and/or The Miracle Worker and are used herein for factual descriptive purposes only. We are in no way associated with or authorized by the Circle in the Square Theatre and/or The Miracle Worker and neither that entity nor any of its affiliates have licensed or endorsed us to sell tickets, goods and or services in conjunction with their events.